LinkedIn has been a valuable platform for both the professionals and business owners since it launched in 2003. With the easy and user-friendly concept of building resumes for the professionals, it has established itself as a powerful element of the professional world. LinkedIn now has 530 million users in more than 200 countries because it gives you the ability to connect with the high-ranking professionals of your field and beyond. No matter you are a professional or entrepreneur, LinkedIn has the power to boost your corporate branding because of the fact that now at every second a person creates a LinkedIn Login. At Crux Creative Solutions Private Limited, renowned brand identity creation agency, our marketers understand how LinkedIn can connect your brand with more than 450 million professionals across the globe. 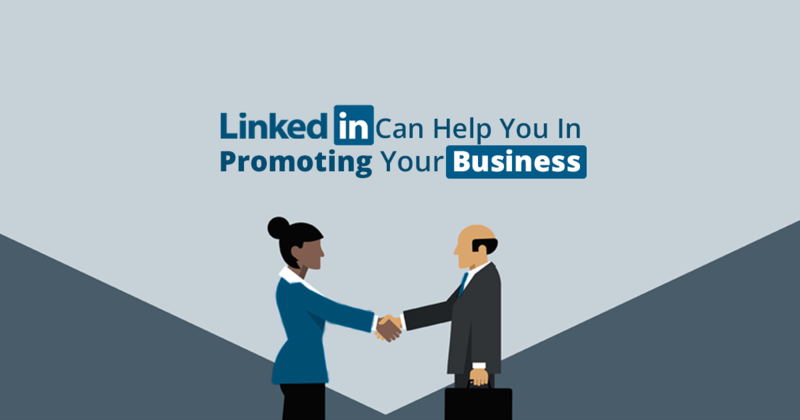 Thus, have a look at some tips and tricks that can help you in engaging audience and growing business using LinkedIn for marketing. If you have just started your business or unable to take your brand to the desired levels then it is the time to get started with the LinkedIn. According to the Crux, leading branding agency in Gurgaon, setting up a company page on LinkedIn and updating it frequently can even take your small business to the next levels. It happens because LinkedIn is a platform of thousands of active users who keep an eagle’s eye on the relevant and useful content. Also regular updates by you company page shows your business as an active and serious operation. The success of any business is directly promotional to the effectiveness of the team. If you are a solo entrepreneur or in the mood of expansion, LinkedIn can always offer you a quality reach. You can easily come across to a slew of excellent candidates through immediate connections, discussion groups, or general talent search ideas. With time, LinkedIn has become a leading professional social networking platform. Find gems on LinkedIn and promote your business effectively. LinkedIn is a powerful alternative for product launch marketing. As earlier, product launch marketing is not only limited to e-mailers, press releases, and banner ads. With LinkedIn, you can effectively distribute the product’s information among the B2B companies and other interested professionals. You can create a community of professionals who keep the same field of interest as you have for your business and easily hit the target audience. Creating a company page is not only enough to promote your business. A well-optimized company page can only increase your company’s visibility among the people with the same interests. Here are the three ways by which you can create an SEO friendly company page. Insert Keywords: Always put those words and phrases in your introduction that a potential customer can type while searching your products and services. Incorporating keywords into the company’s profile clearly represents who you are what you do. Link to your company page: To boost up your website search rankings, more links associated to your company’s website are very essential. In order to step-up your Google rankings, link your company page to the website and make sure that your employees have updated LinkedIn profiles. Because adding your company name to their profile will create a link to your website. Share relevant content: Sharing relevant content at regular intervals is one of the best ways to improve your search rankings and results. The more frequently you share the content on LinkedIn, the higher your company page appears in search results and eventually improves your business visibility. Also read: How to build a strong brand identity? LinkedIn is also an efficacious branding tool, if the user has the ability to use it in a justified way. Moreover, keeping an eye on the LinkedIn analytics can help you in gaining better results and making more strategized plans. As a well-known branding agency in India, we at CRUX hope with the practice of these tips, your business can achieve a big brand value and a huge number of potential customers in the market.